These are so cute. 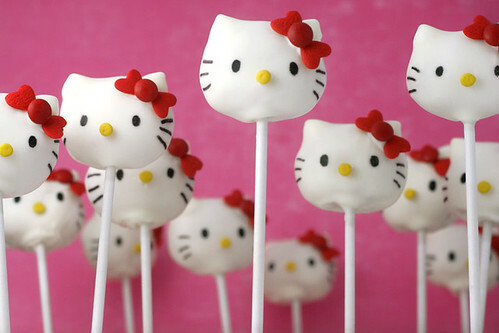 Check out Bakerella’s Hello Kitty Cake Pops and all of her other thematic cake pops. The photographs provide detailed instruction and for those new to this concept, she has provided detailed instructions on how to make the cake balls and pops. I just read about these cake pops the other day in our local newspaper and think they will become a phenomenon in Florida. Thank you for your wonderful website and all the fabulous ideas you show. I’m going to start baking them today.